Michael Wacha and the Cardinals agreed on a one-year contract for 2018. He was injured June 20 and placed on the 10-day disabled list a day later. His attempt to return ended when he was placed on the 60-day DL on Sept. 10. 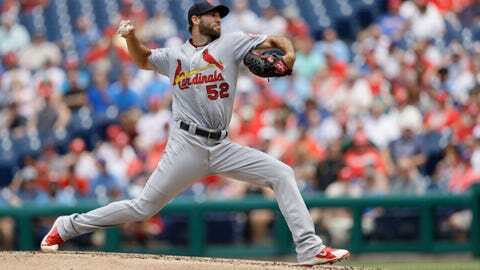 Wacha would earn a $100,000 performance bonus this year for pitching 175 innings, a figure he has reached only once in his big-league career, when he was an All-Star in 2015.